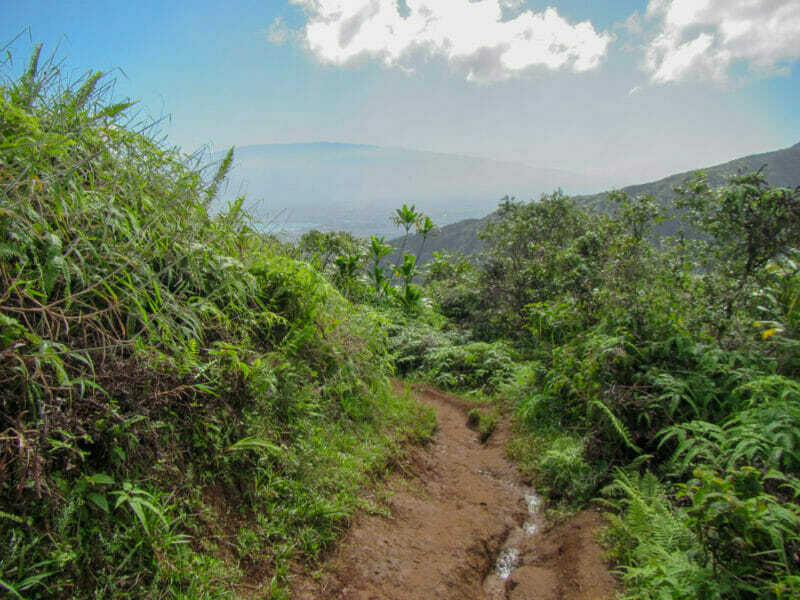 The Waihee Ridge Trail is one of the more popular hikes on Maui. Approximately 5 miles round trip, this hike involves climbing uphill for about 1,500 feet. Above all, the views are spectacular. Go early! And, on a really nice day. First, the parking is limited. If you have to park in the overflow lot, it will add quite a bit of distance to the hike. Gate opens at 7 am. Second, this area is very prone to clouds and to rain. The trail gets extremely muddy and very slippery. So, best to avoid going when it’s raining or has just rained. Finding the trail can be tricky. To get there, take Highway 32 west, out of Kahului until you reach Highway 330 (about three miles). Turn right on Highway 330 and continue until it becomes Highway 340 at mile marker 2. At 9/10 mile past mile marker 6, you will see a big Mendes Ranch sign on your right. On the left side, there is a sign for Camp Maluhia and a little sign saying Waihee Ridge Trail. Turn left onto this road and go about 1 mile uphill until you reach a small parking area. Oddly, you’ll start the hike from the parking lot by going up a 200ft cement road next to a pasture with grazing cattle. It’s steep! Don’t worry… keep going! The real hike starts in a lush forest so, watch your step! There are roots to navigate around everywhere, but only in the first section. 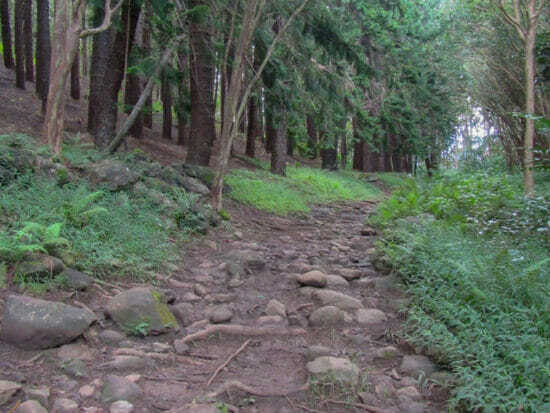 The Waihee Ridge Trail is straightforward, well marked, and provides nice intervals of steep inclines and some areas of fairly flat terrain. This is a moderately difficult hike. Since it does tend to rain in the area, wear comfortable hiking appropriate shoes that you don’t mind if they get caked in red mud. Do not attempt this with flip flops either! We would not recommend this for kids younger than 12 or for people that have never hiked before. Also, consider some walking sticks for the way down. Bring plenty of water… you’re in Maui, it’s hot and you’re sweating. Also, it is important to remember to put on or bring with you is sunscreen. Some portions of the hike are fully exposed to the bright Hawaiian sun. There is picnic table at the top, so you might want to bring some food to enjoy up there. Full disclosure, the first time we attempted the Waihee Ridge Trail, we did not even start the hike. We left Ka’anapali early on a beautiful sunny day. By the time we made it to the parking lot, it started to rain. After having read all the comments warning of how slippery it can get, we opted to not even attempt it. On our second attempt, we did not make it all the way to the top. As we approached of the top, clouds rolled in so we decided to turn around to try to get back to the start before spending too much time in the rain. Maybe one day we will make it all the way to the top. We are not trying to deter anyone from going with all our warnings. We just want to be safe an enjoy your vacation. This is a beautiful hike, and certainly one of our favorites. 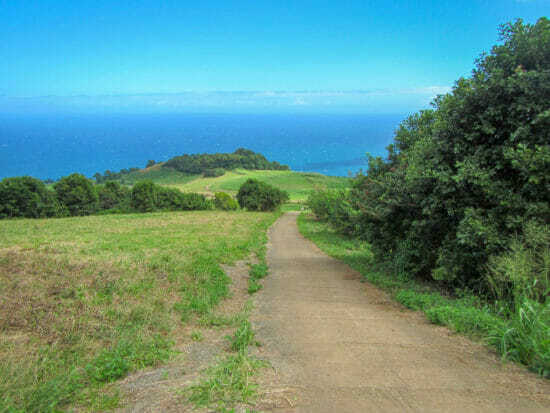 The views of Maui are incredible! It is a pretty incredible feeling being way up there in the West Maui Mountains. Plus, it’s a budget friendly activity – no fees for entering or to park. After much trial and error, we have finally found some shoes that work well for hiking in Hawaii. We came across an Instagrammer from Kauai, mentioning her favorite trail shoes. Quickly, we each located a pair and during our last trip, we got to test out our Salomon Speedcross shoes and they were perfect for hiking in the Hawaiian mud.